In the large search box on the library’s web page, type search terms in the search box. 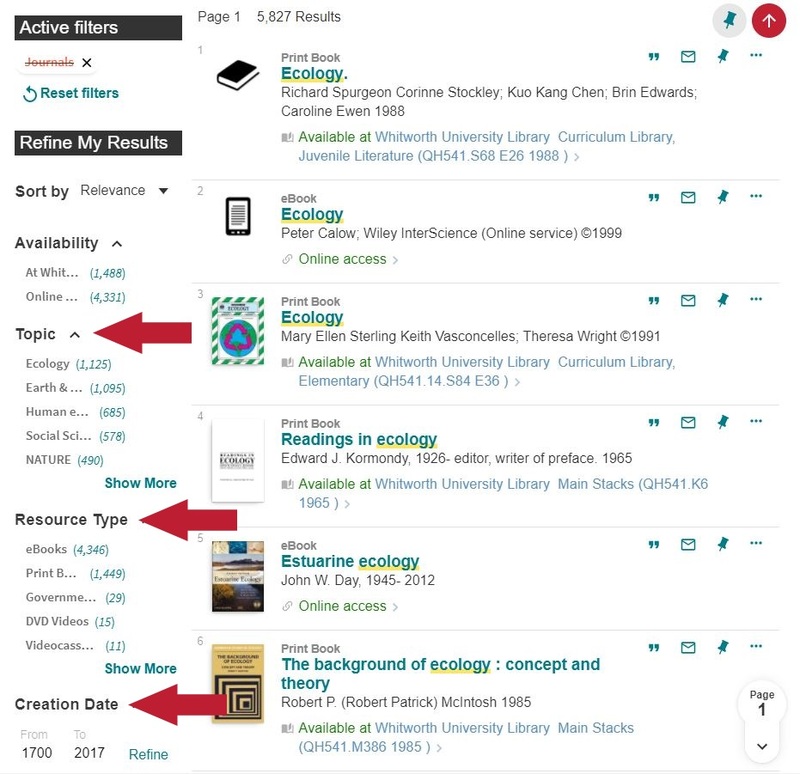 If you are just starting research on a topic, search "in any field" to get a broad range of results. 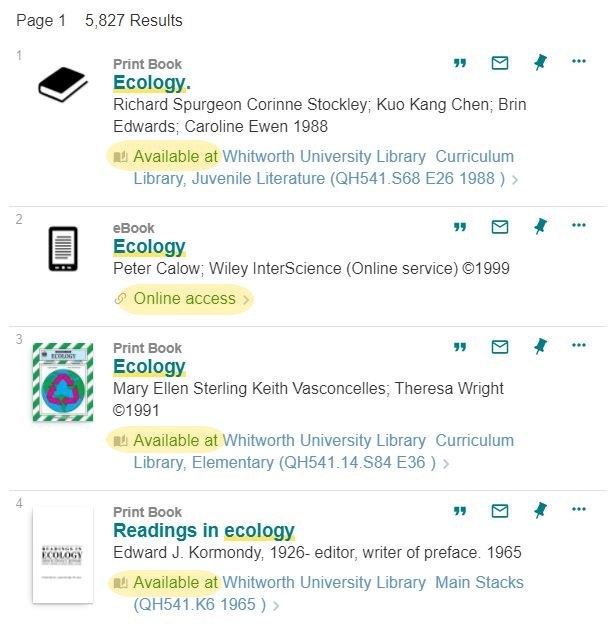 Make sure the bottom field says "Whitworth" so that you are searching only for books. The search results show the availability and location of the book. Look at a library map or ask a library staff person for help finding the different locations. If the dot by the location is green, the book is on the shelf. If the dot is yellow, it is unavailable. See The book I want is checked out for instructions on how to request a book that is checked out. If the book is in the library, use the call number to locate the book. Use the limiters on the left to make your search results more relevant. Choose more specific topics, type of book, date of publication, and more.